I pretty much love anything art nouveau. 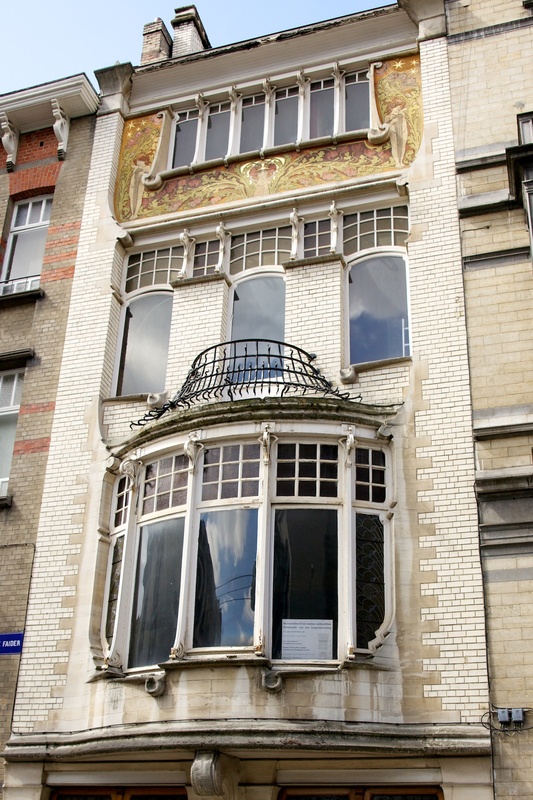 So whenever I go to European cities, I look to see if they have any art nouveau icons. 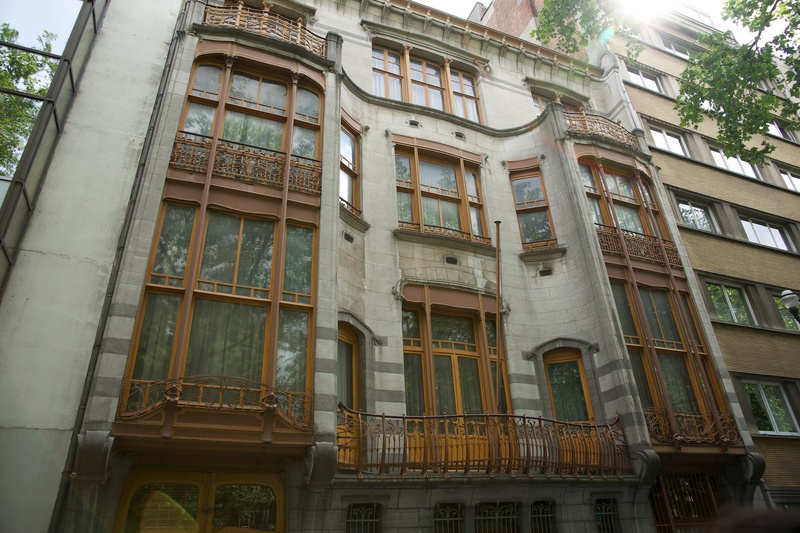 In Prague there is Mucha, in Berlin there is the Bröhan museum, and in Brussels there is Victor Horta. 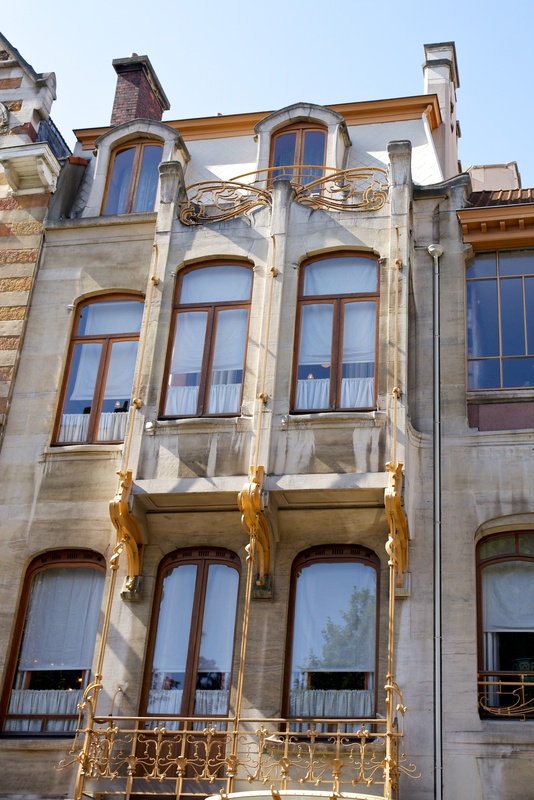 There is a Horta Museum, as well as a number of buildings he and others designed nearby. A bunch of walking tours (like this one with a nice video) can help you cover the various buildings or get a peek from wherever you currently are via the pictures. 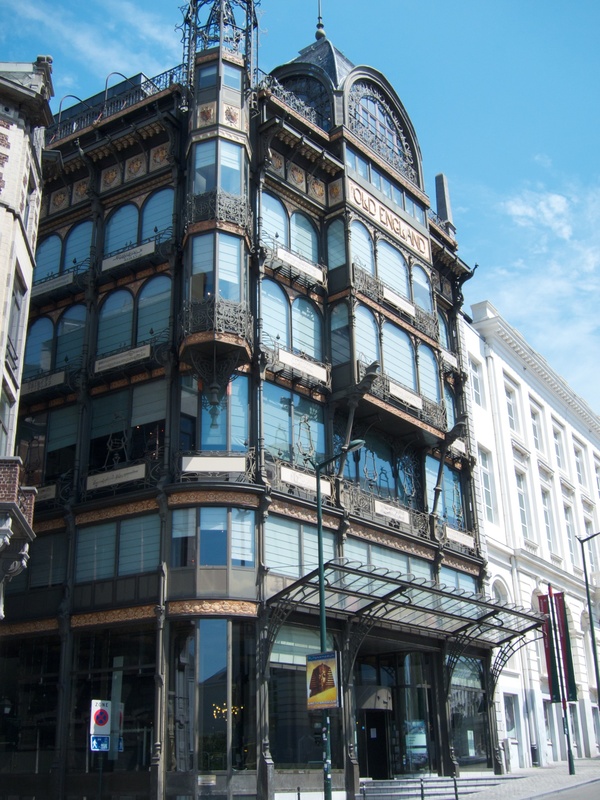 Old England building, designed by Barnabé Guimard, closer to the Grand Place in Brussels. (not Horta, but still very cool. This hosts the instrument museum so you can go inside and enjoy that too. 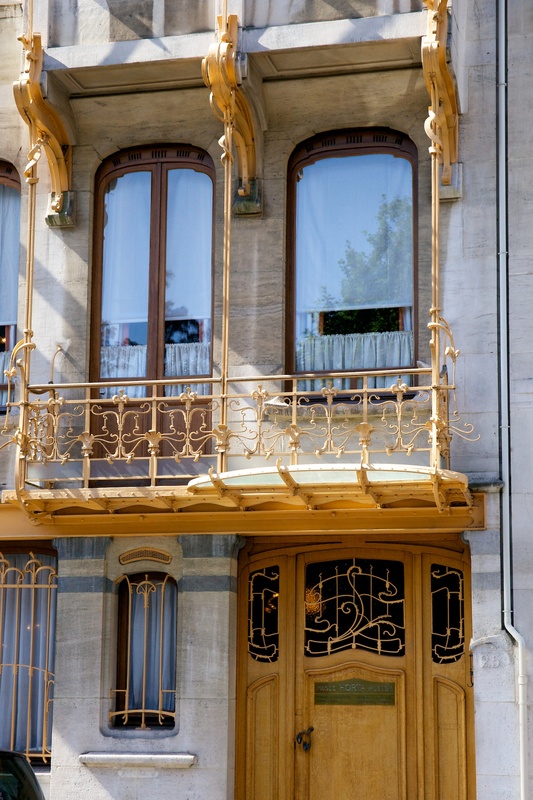 This entry was posted in artists and books, Style and tagged architecture, art, art deco, art nouveau, belgian art nouveau, belgium, brussels, decoration, design, horta, horta museum, victor horta on April 19, 2013 by Vironevaeh. I love any architectural art. It’s amazing how the buildings can be as strong and standing as they are amazing. Beautiful photos! Architecture is such a blend of art and engineering. I wish more buildings brought both to bear. Our modern building materials have so much potential, but I guess due to budgets we rarely see it.